I was going to share a recipe today involving chocolate, but I ended up using up almost all of our chocolate to make chocolate chip cookies. I don’t know how it happened! One moment our kitchen was overflowing with chocolate of all kinds and the next I am contemplating a late night trip to Publix just for chocolate… However I decided that I didn’t want to look too desperate for chocolate, so I will be patient and wait until this afternoon to go to the store. 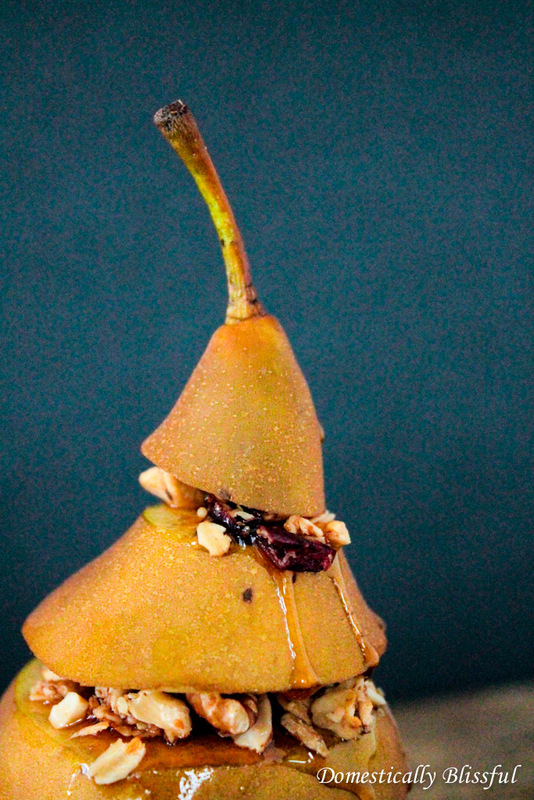 But since I had just bought this beautiful pear I figured I could easily switch recipe dates in my new planner – yes I am obsessed with this little beauty! This sweet and crunchy Pear Granola Treat is healthy enough for breakfast yet sweet enough for dessert! First, wash and slice/core the pear. Drizzle a little bit of honey on the first layer and sprinkle on some granola. 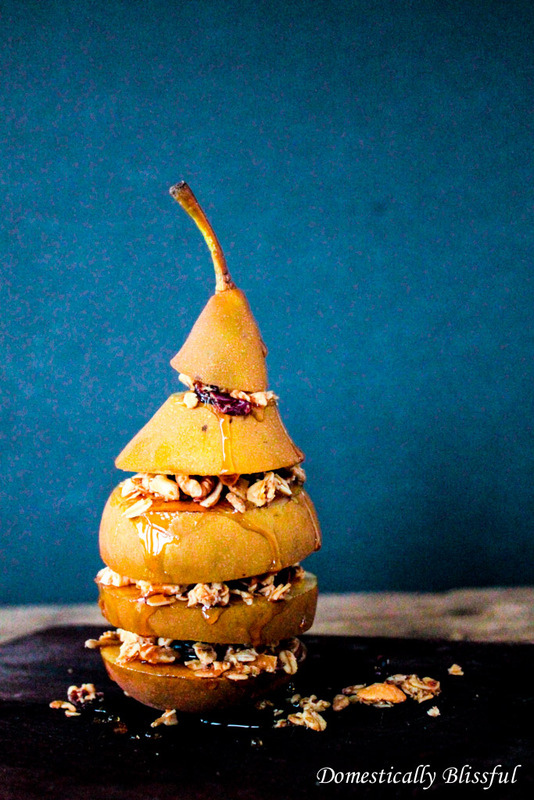 Place the next layer of pear on top and continue this process until every layer is covered in honey and granola. 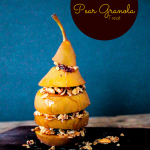 Enjoy your Pear Granola Treat at room temperature or chilled. 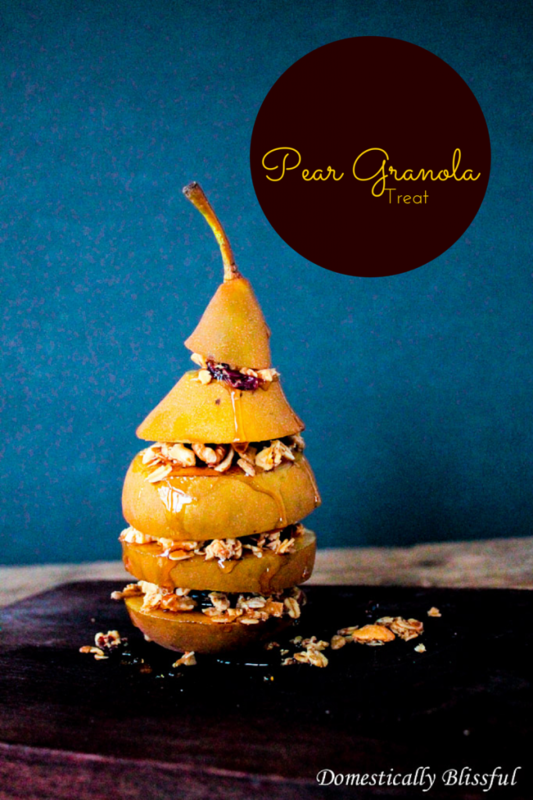 I would love to see your Pear Granola Treat! Share your delicious treat on Instagram with the hashtag #DomesticallyBlissful for a chance to be featured on Domestically Blissful’s Instagram!